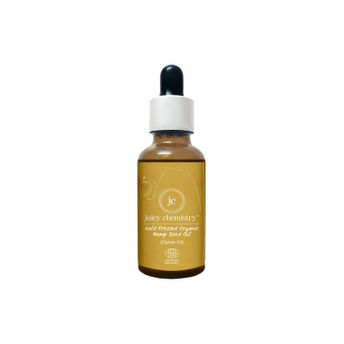 Touted as the most nutritionally balanced oil in nature with non-comedogenic property, the Juicy Chemistry Organic Cold Pressed Hemp Seed Oil is the holy grail for acne treatment and other chronic dry skin conditions. It hydrates and nourishes the skin and also provides anti-ageing benefits making skin look ageless and supple. Go on; rejuvenate your complexion with this versatile oil! 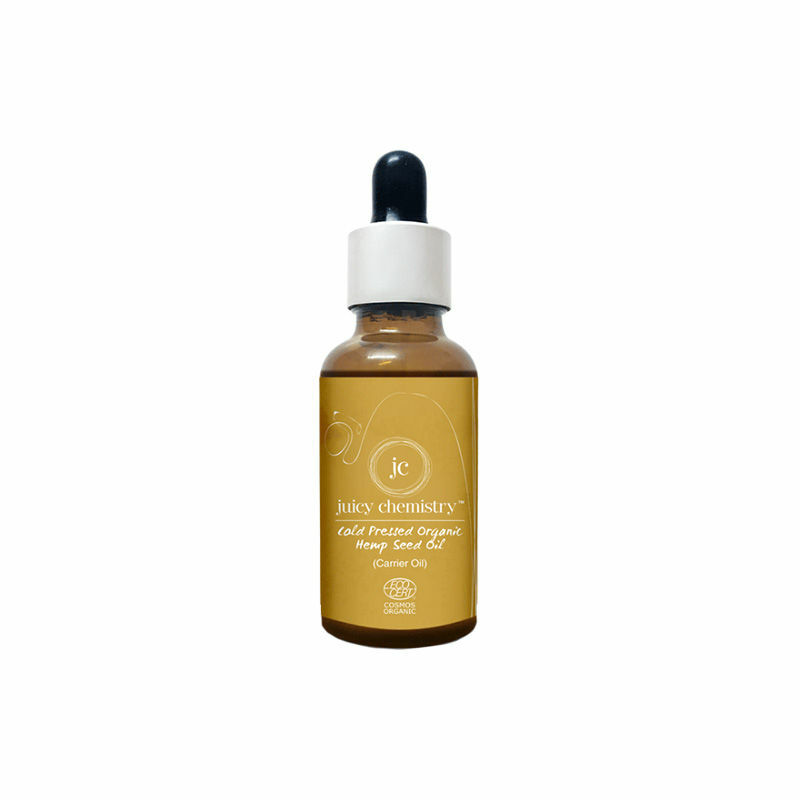 Juicy Chemistry oils are cold pressed with nothing added, nothing taken away!